Antibodies are critical to your immune system's function. These cells are present in the body to ward off illnesses, including viruses and bacteria, and the more you have, generally, the healthier you will be. Antibodies are often built up through encounters with a bacterium or virus, which means that if you were never sick or exposed to unhealthy elements, your body would be unable to develop antibodies to serve as protection. However, the number of antibodies you have in your body is influenced by several factors, including your diet, fitness level and overall state of being. Eat foods high in the vitamins and minerals that benefit your immune system, including vitamin C, vitamin E, zinc, carotenoids and omega-3 fatty acids. All of these nutrients help your body in various ways to increase your antibodies and maintain these high levels. Vitamins C and E are found in many fruits and vegetables, particularly oranges, strawberries and canteloupe. 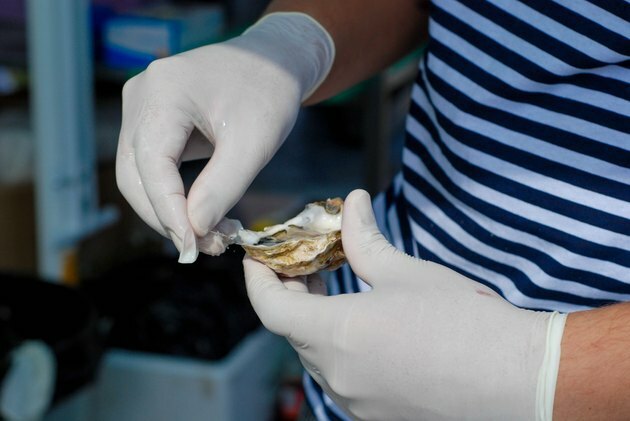 Zinc is found in very high concentrations in oysters--particularly raw oysters--and turkey. Carotenoids such as beta carotene--which the body then converts to vitamin A--is found in very high doses in carrots, as well as other vegetables. Omega-3 fatty acids are plentiful in whole grains and fish products. You can also consume supplements of all of these to bolster your antibodies. Exercise multiple times throughout the week--at least three or four times. You should also try to exercise for at least 20 or 30 minutes at a time, keeping the heart rate elevated the entire time. Exercise guards against many serious problems, including heart disease, high cholesterol, high blood pressure and heart attacks. According to Discovery Health, exercise can also increase antibody production by up to 300 percent, and it also increases the presence of T-cells--aggressive cells that seek out, attack and kill unwanted viruses and bacteria. Work to maintain a happy, satisfying lifestyle. According to Discovery Health, individuals who report being generally happy with their lives also tend to have more antibodies in their system. Happiness can be influenced by several factors, such as stress, and also through exercise. This makes exercise beneficial in multiple ways, because you can increase your overall happiness by working out. Discovery Health reports that improved happiness through the elimination of stress and anxiety, plus the integration of activities that encourage happiness, can boost antibodies by up to 50 percent. What Causes a Fast Resting Heart Rate?